Darren Burgess is the Head of High Performance at Port Adelaide of the AFL. 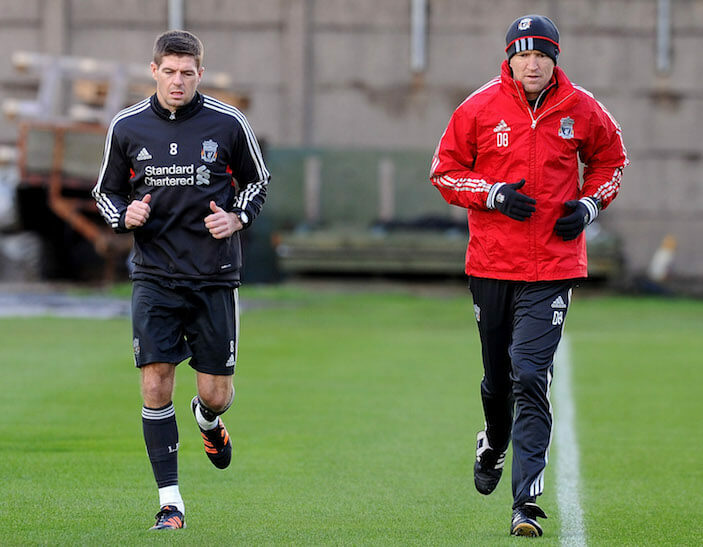 This is actually his second stint with the club, and prior to this tenure he also spent time with Australian National Soccer team, as well as Liverpool FC of the English Premiere League. In this show, Darren and I discuss Aussie Rules Football and the physical capacities necessary to be successful, the biggest struggles he deals with in his job, and the story of how he sent 92 resumes to European soccer clubs in an effort to get his first job. Needless to say, this is an awesome show and one I think you’re really going to enjoy. MR’s Monologue: Are You Willing to Make Sacrifices? How Darren got his start in the world of physical preparation. What “High Performance” means to him, and the most challenging part of his job on a day-to-day basis. An overview of what his job looks like, from the second he clocks in to the second he leaves the building. Aussie Rules Football – what is it? What are the demands of the game? And what physical qualities do you need to be successful at it? Darren’s thoughts for young coaches – what should you really be spending your time and energy working on? How to strike a blend between a programming-centric and an athlete-centered program. A tough question, yet honest question – Do we really matter as S&C and physical preparation coaches? The similarities and differences between the worlds of Aussie Rules Football, and English Premiere League soccer. A true lightning round, where we discuss the day he accepted the job at Liverpool, the books he’s reading right now, and what Darren considers to be the highlight of his career.